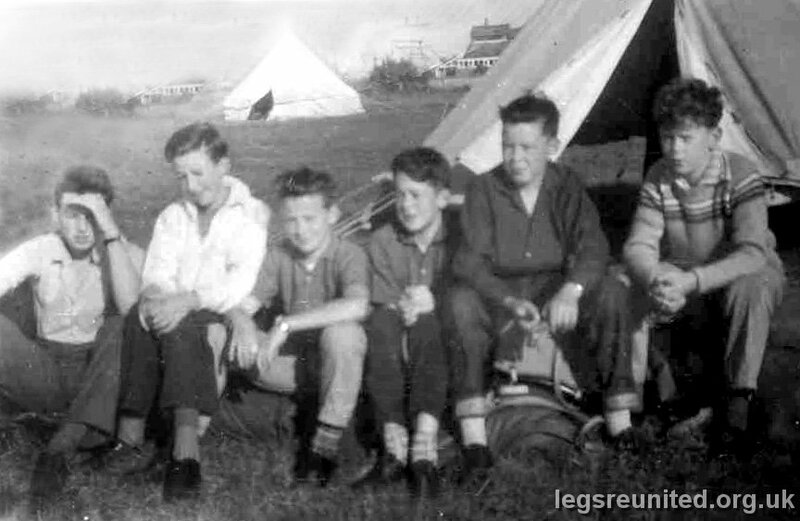 The LEGS contingent at the Derbyshire Schools Summer Camp at Sutton on Sea in 1960. The camps were one of the things I look back on with real affection from my time at Long Eaton. At that time you could still take the train from Sutton to Mablethorpe, which our team did - for fourpence. It was only a day or so later that we read the camp rules and found such activities at the very top of the forbidden list. Camps were also held at Mundesley in Norfolk and Benllech in Anglesey. Special trains were arranged on each occasion, starting in the north of Derbyshire and ultimately calling at Nottingham - in the days when we had a rural railway. The camps were superbly run by dedicated staff who probably never got the thanks or recognition they deserved. The personalities in the photo from left to right are: Bob Simpson, Richard Campion, Alan Mayes, Martin Fox, Chris Moore and Idris Hall. Caption and photo from John Wood.